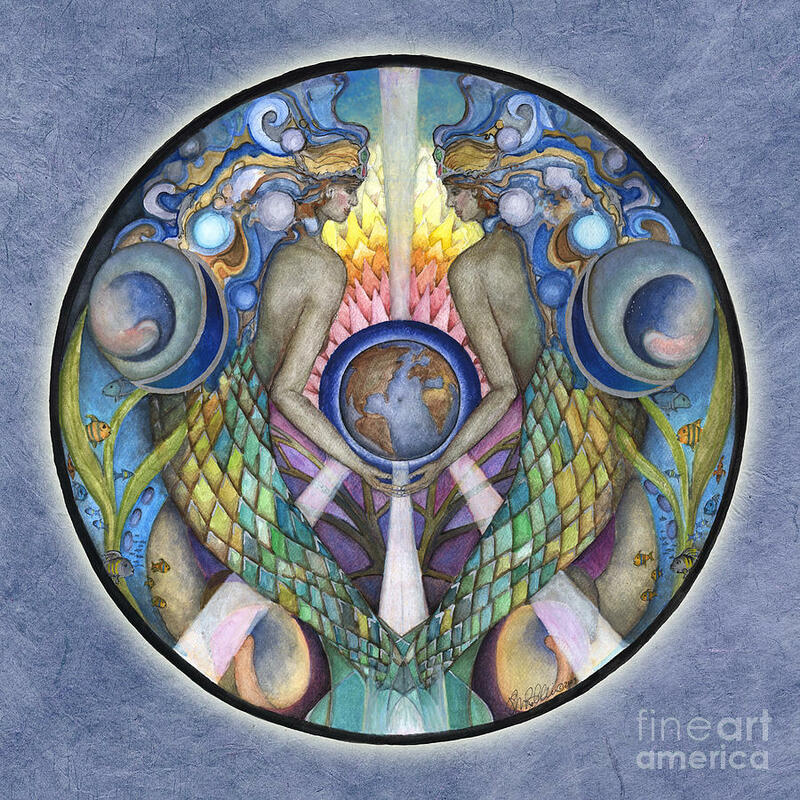 Healer, artist and musician JO THOMAS BLAINE was born in 1961 in State College, Pennsylvania. 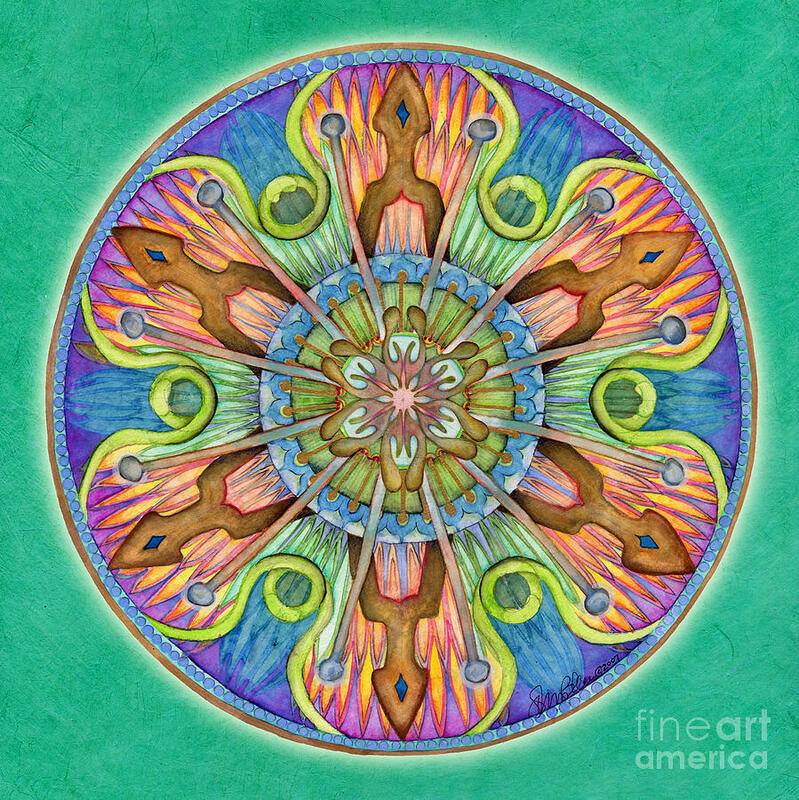 In 1982, she received a Bachelor of Arts in Graphic Design and Cognitive Psychology from Hampshire College in Amherst, Massachusetts. 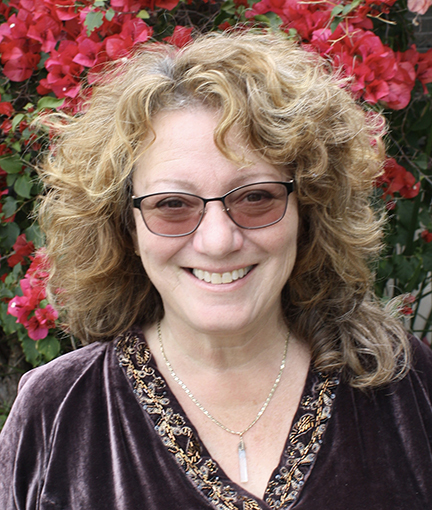 In 2001, she received a Master of Science from Pacific College of Oriental Medicine in San Diego, CA. 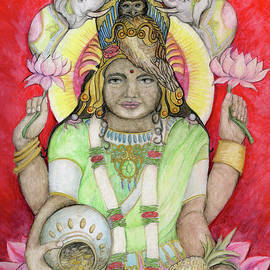 She currently resides in San Diego with her husband and two children. 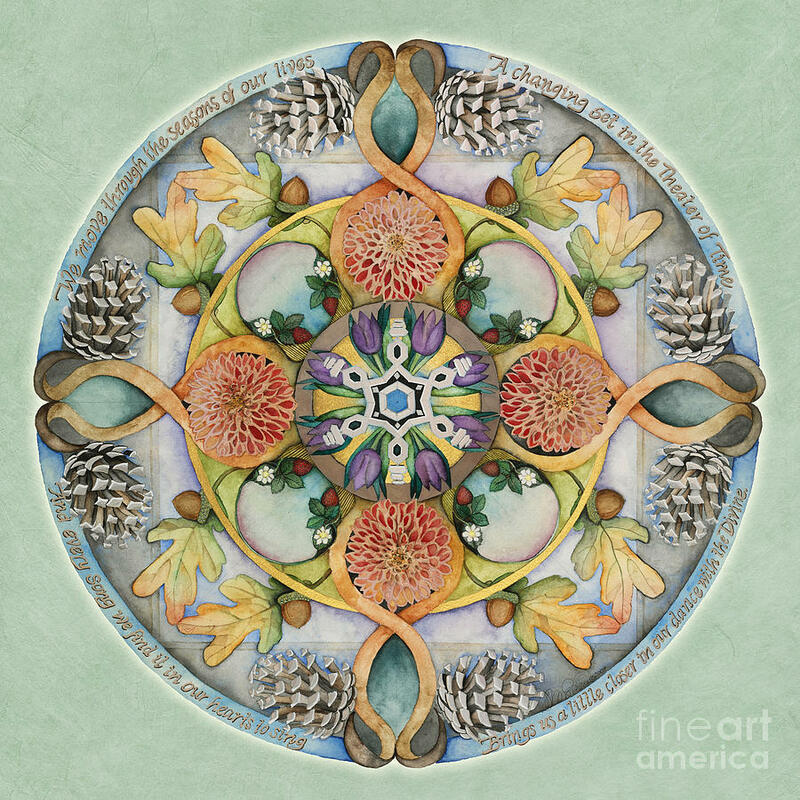 Jo has been painting Mandalas throughout her adult life. 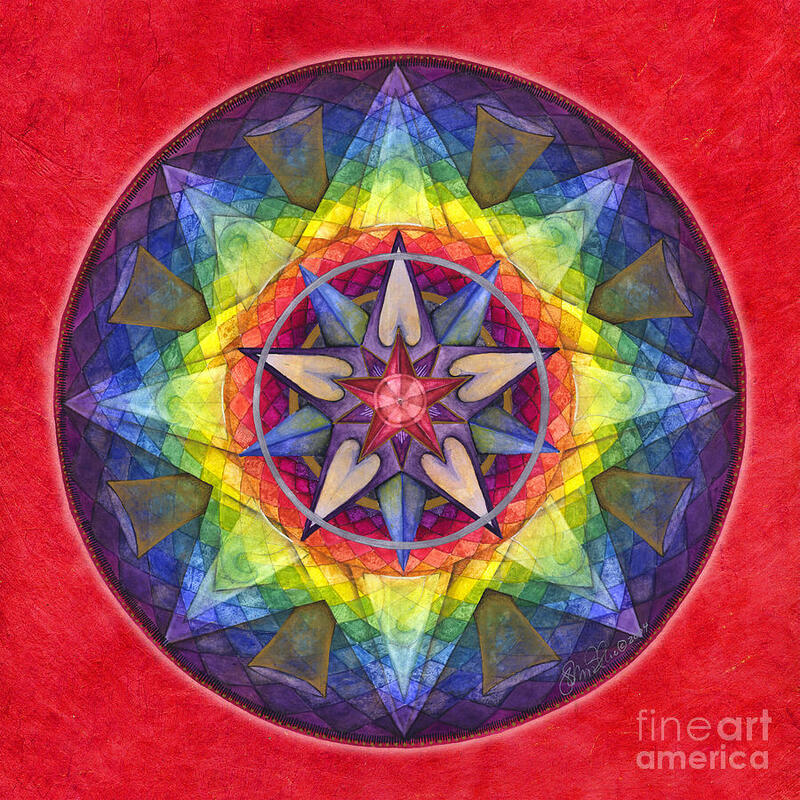 An intense love of color, a lifelong fascination with the patterns found in nature, an ongoing quest to connect with the spiritual essence of the Self and the World, and her early work as a kaleidoscope maker all influenced and nurtured Jo's love of the Mandala: symmetry radiating from a single point. 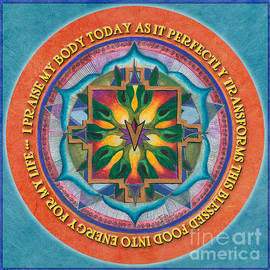 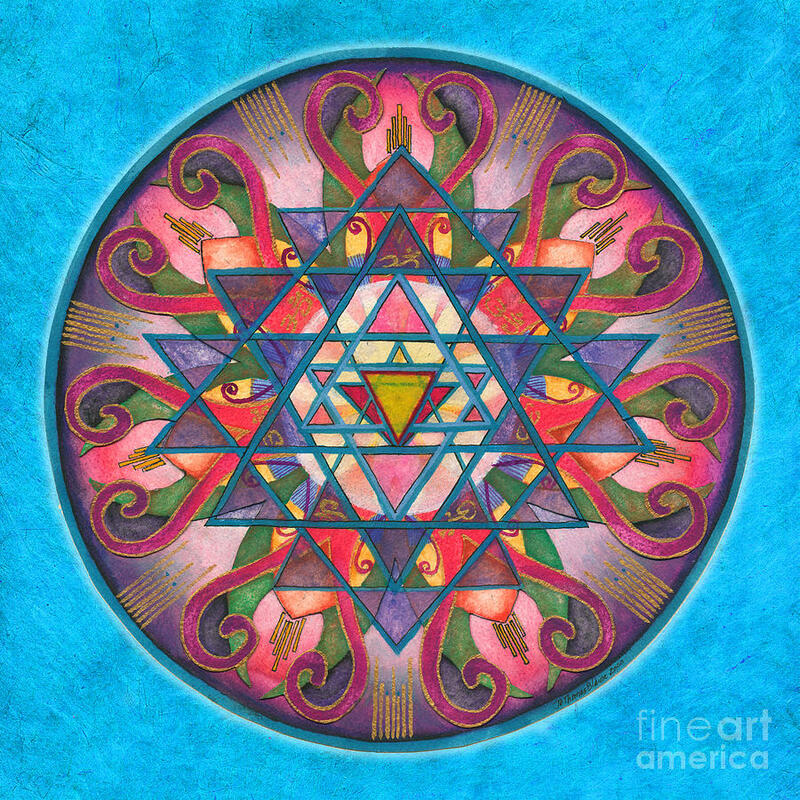 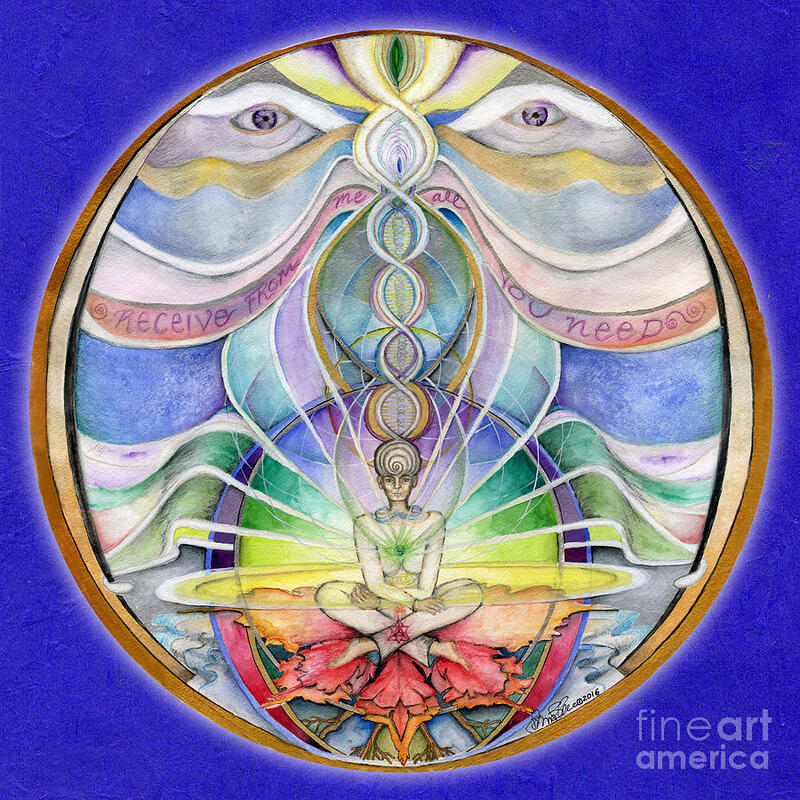 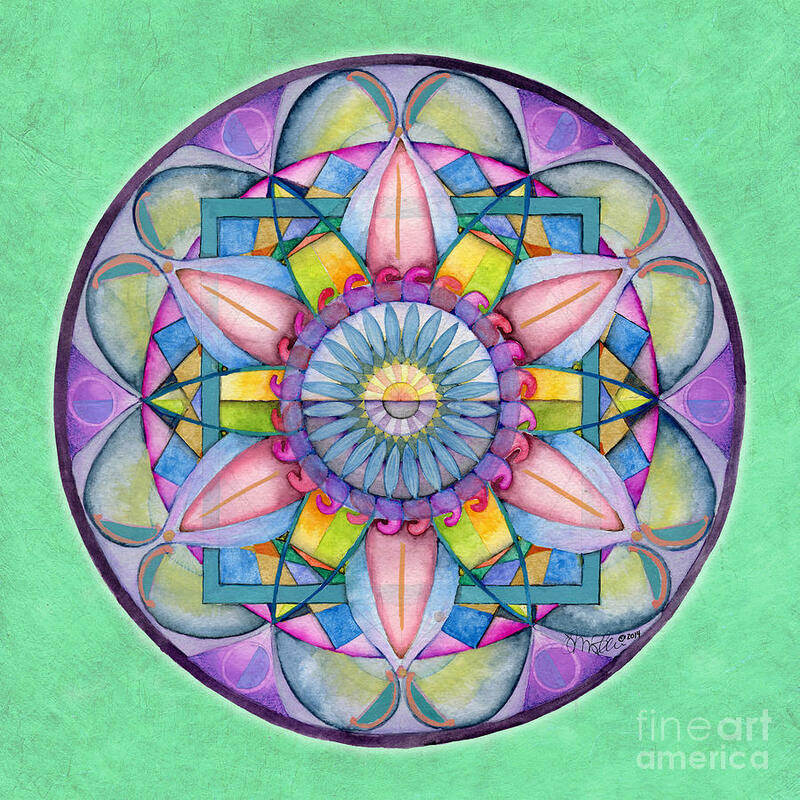 The word "Mandala" is from the Sanskrit, meaning "sacred circle". 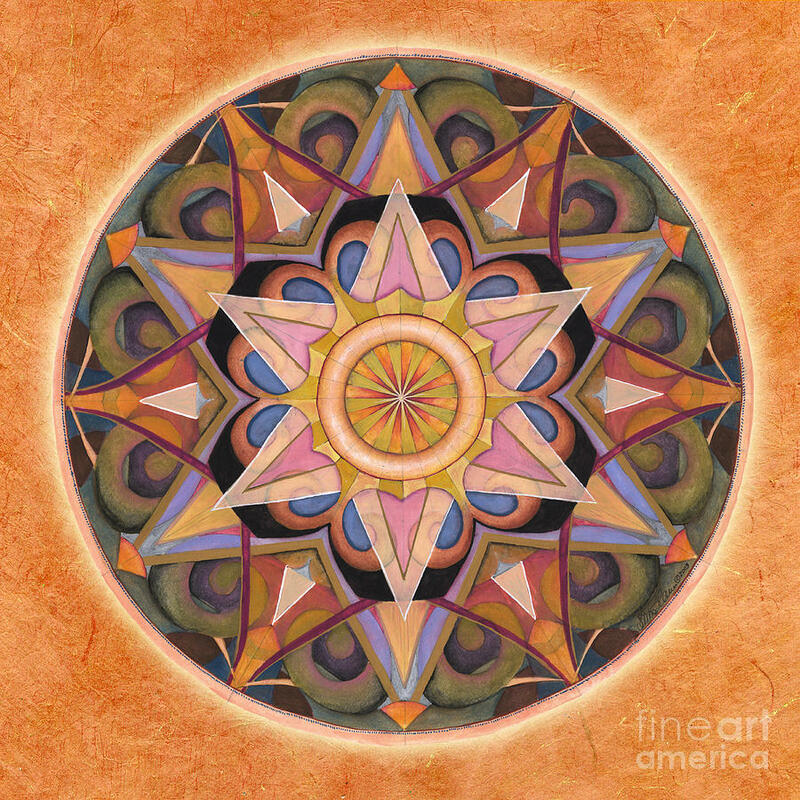 Mandalas have traditionally been graphic, mystic symbols of the universe, connecting the viewer to the unseen reality. 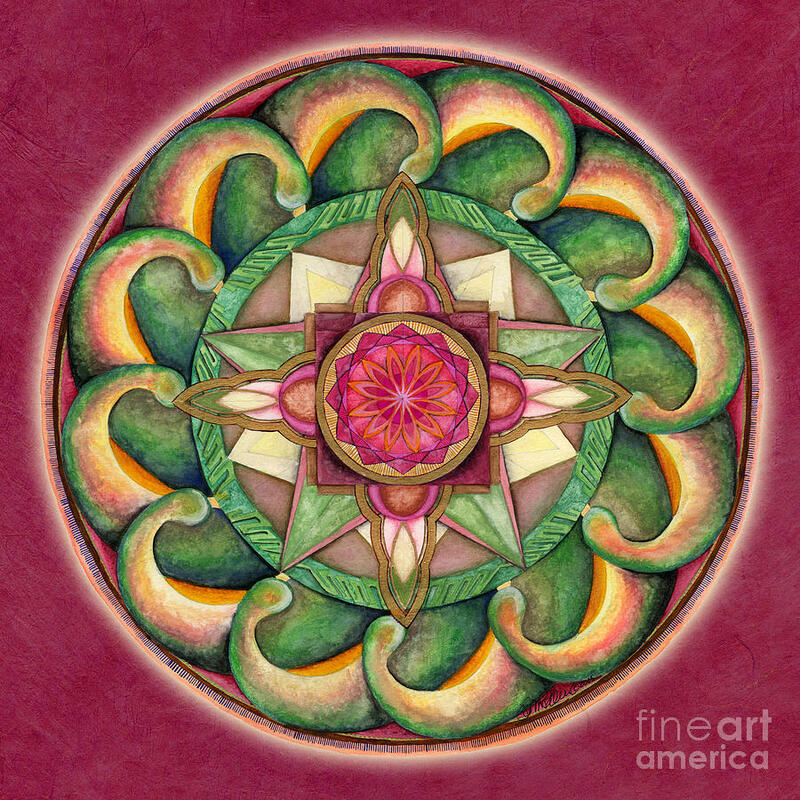 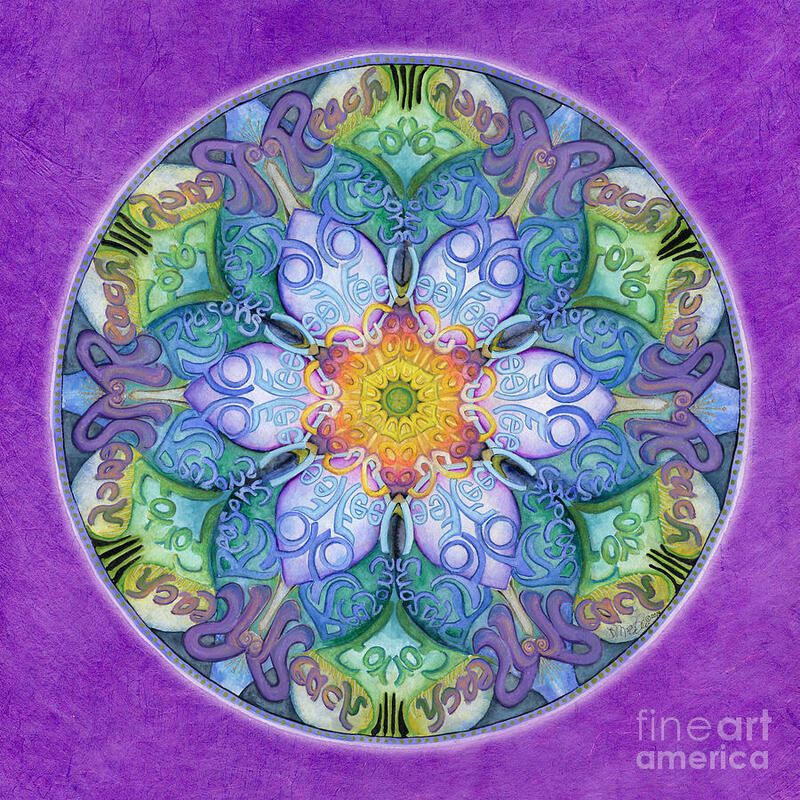 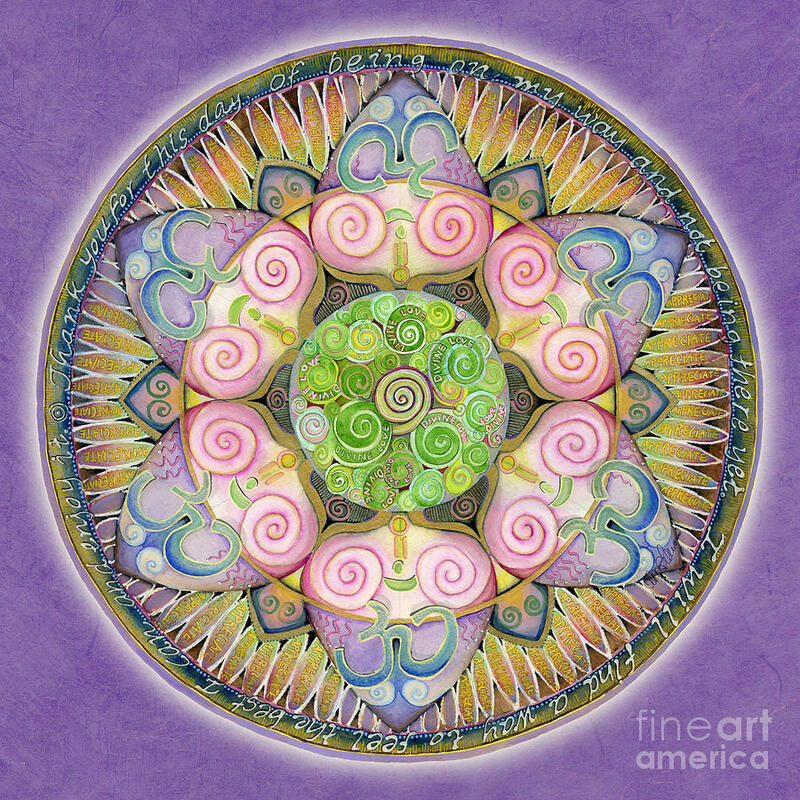 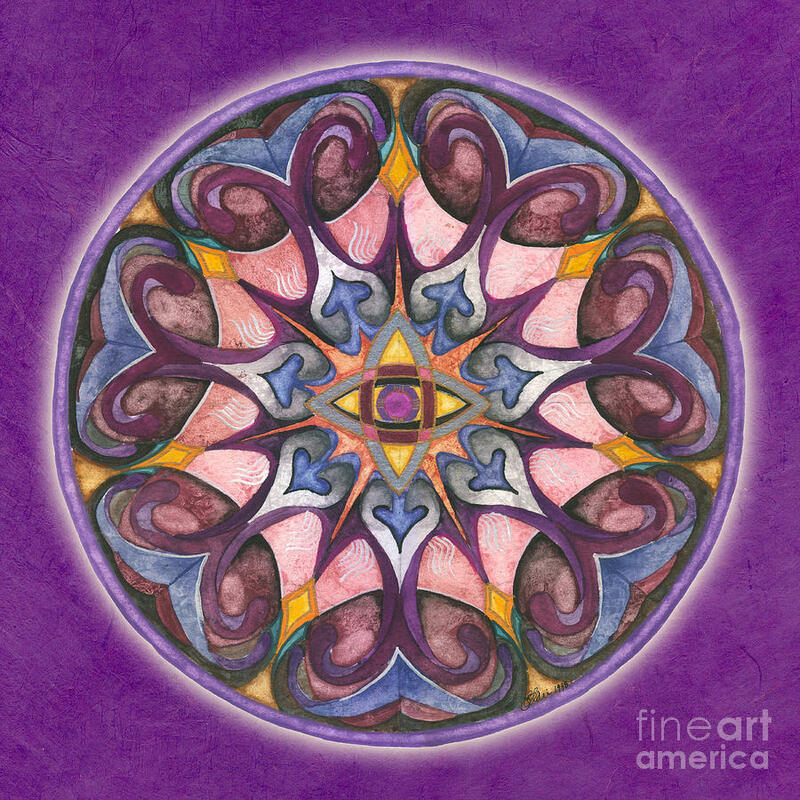 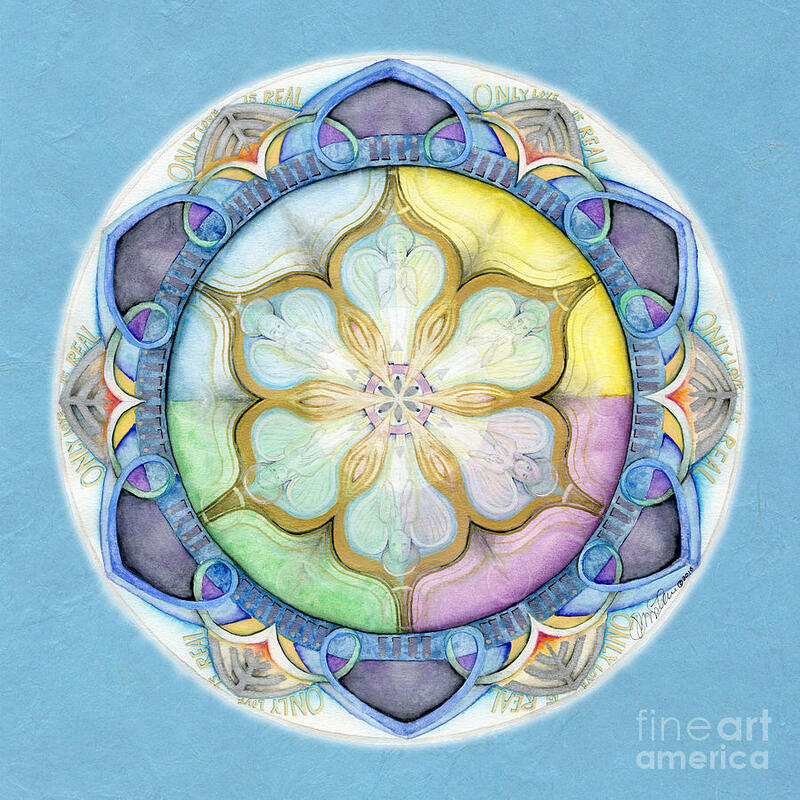 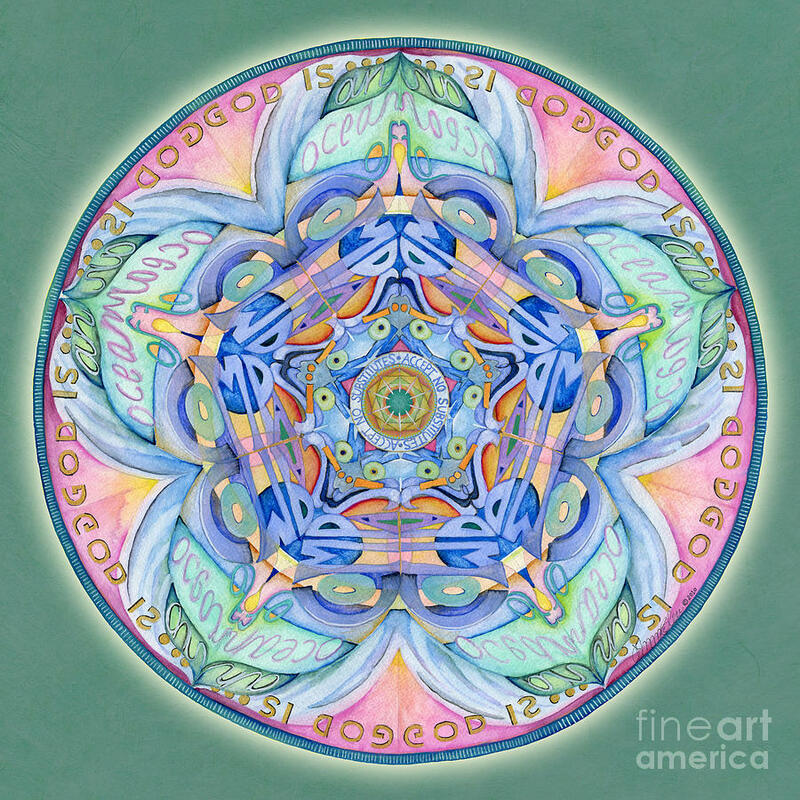 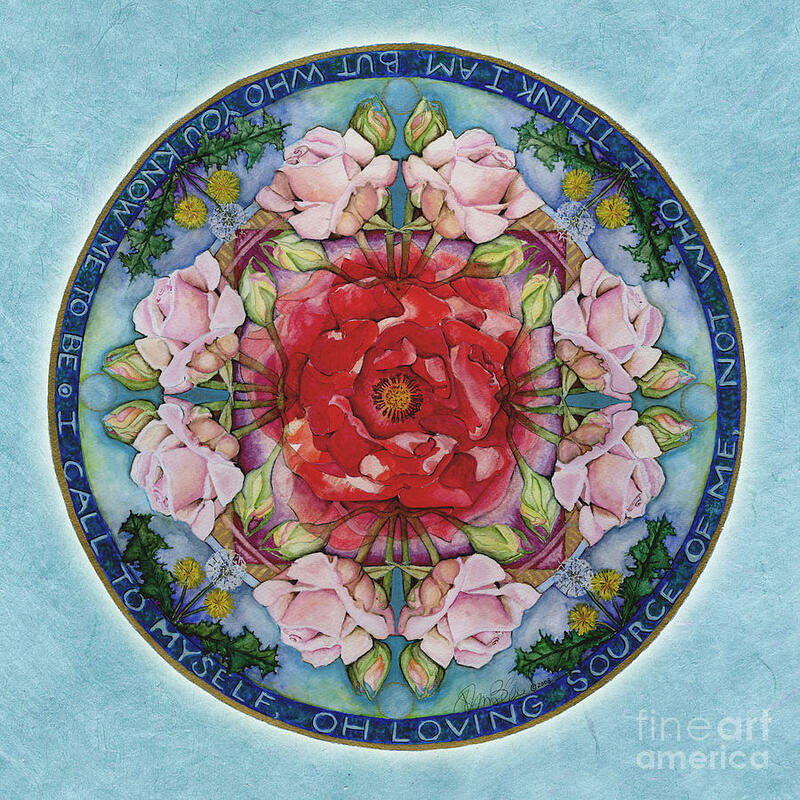 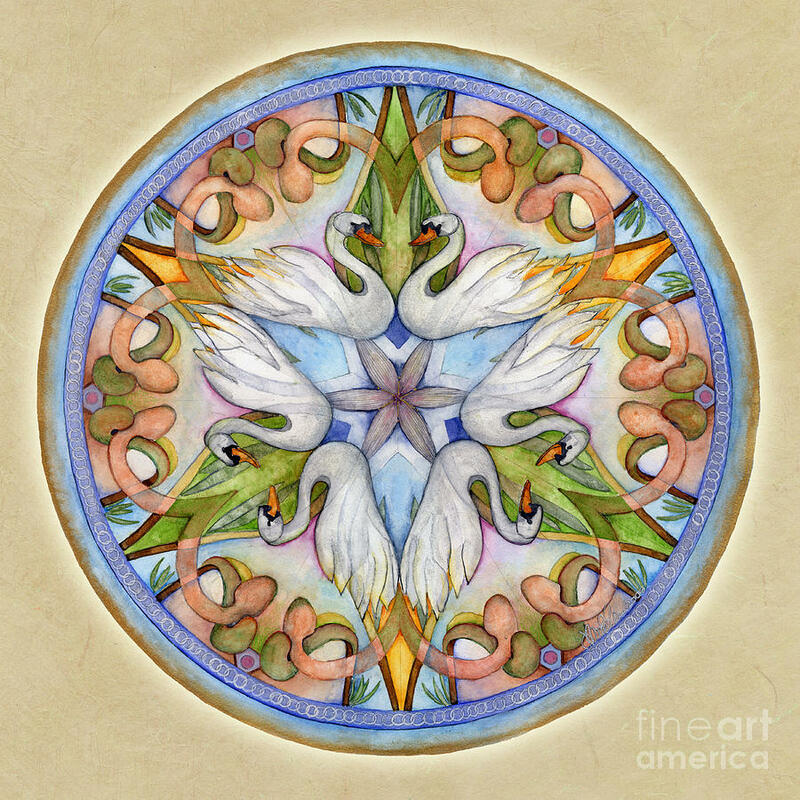 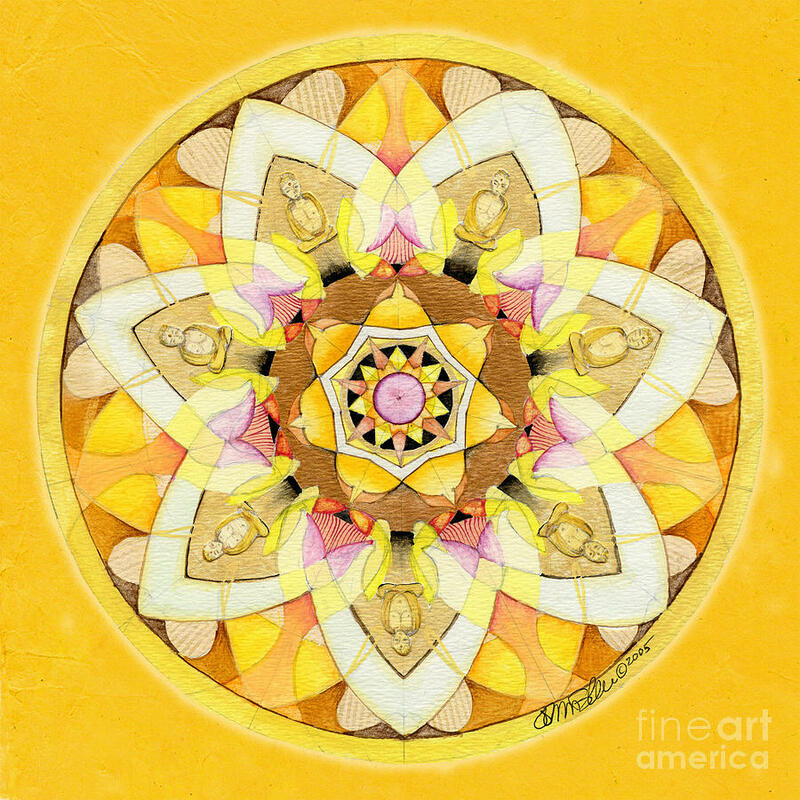 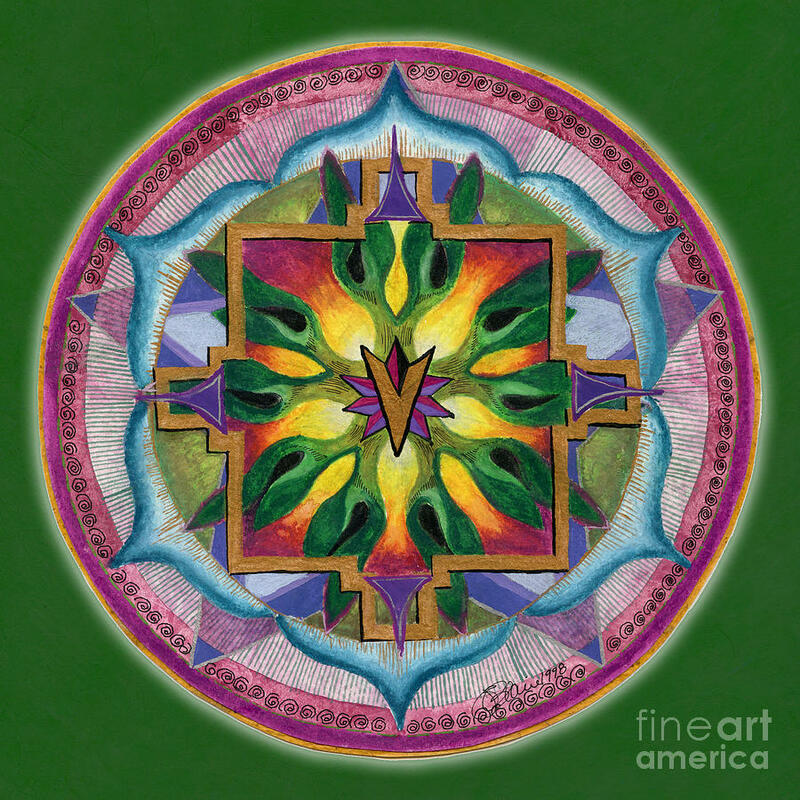 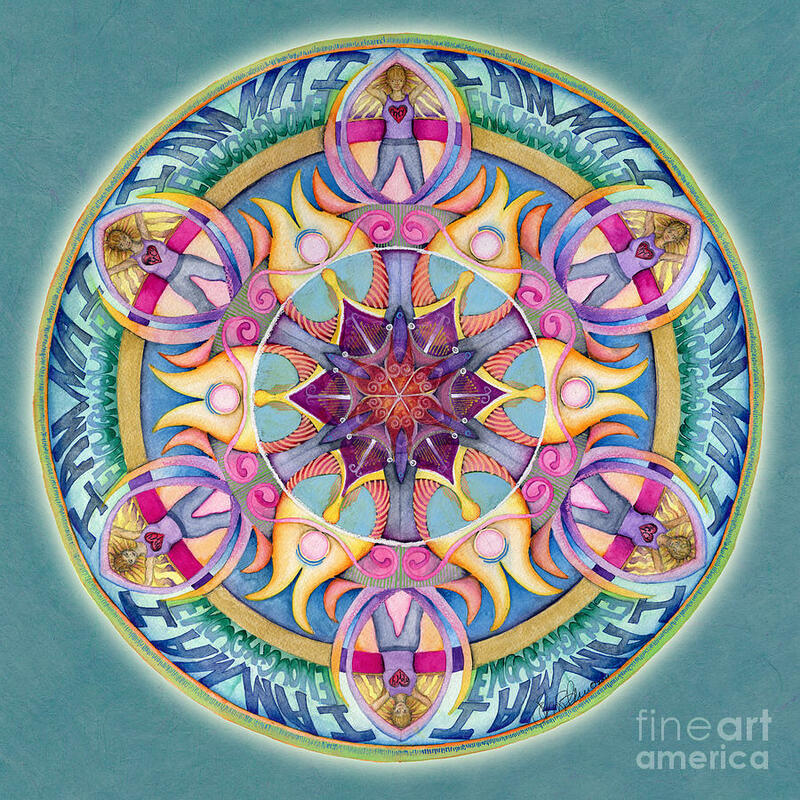 Mandalas of all sorts have been used by many different cultures to cultivate power or healing energy, to protect, to inspire, and to call upon the divine. 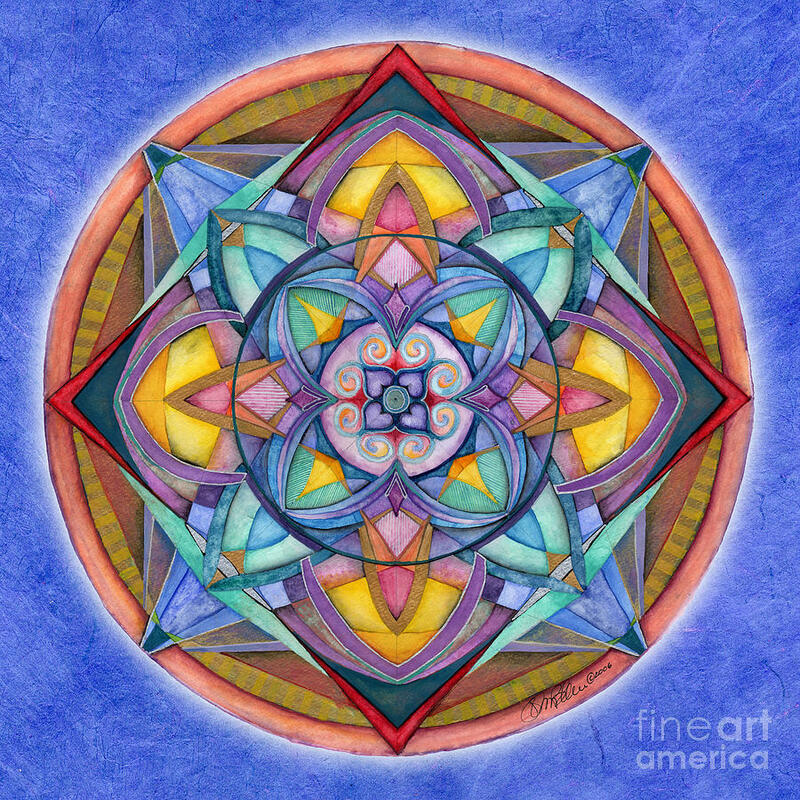 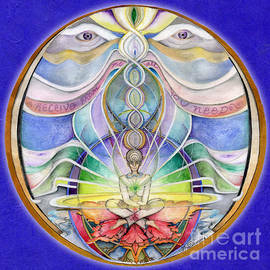 Look to the snowflake in its infinite variety for evidence that the form of the mandala is deeply a part of our nature. 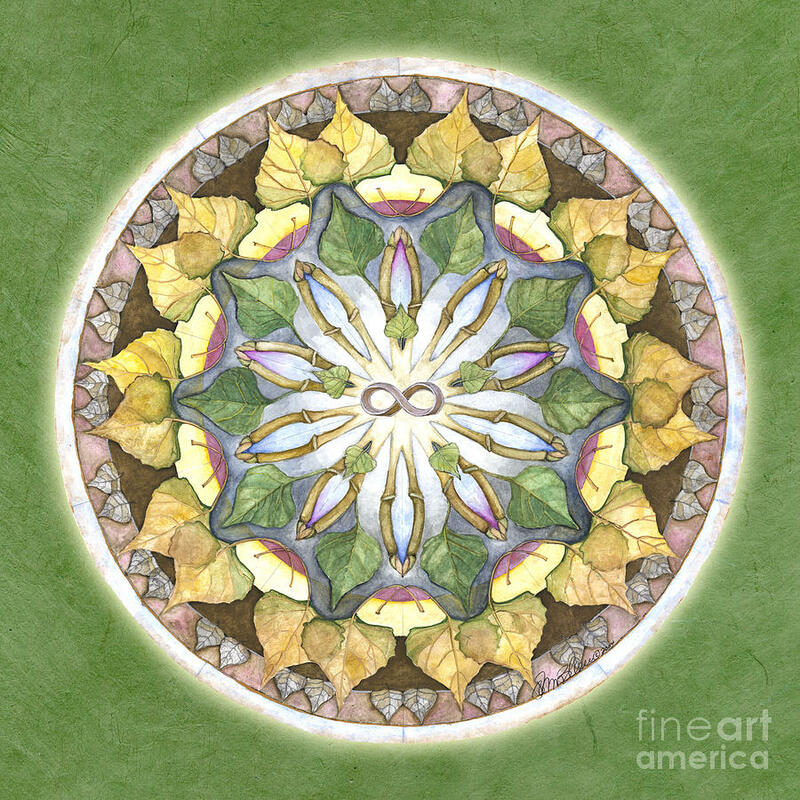 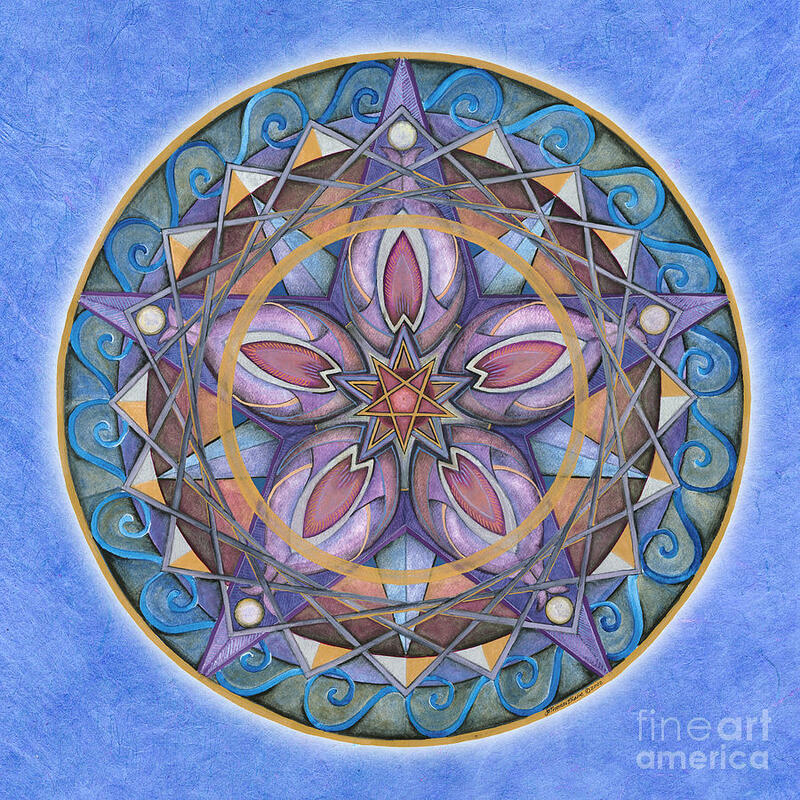 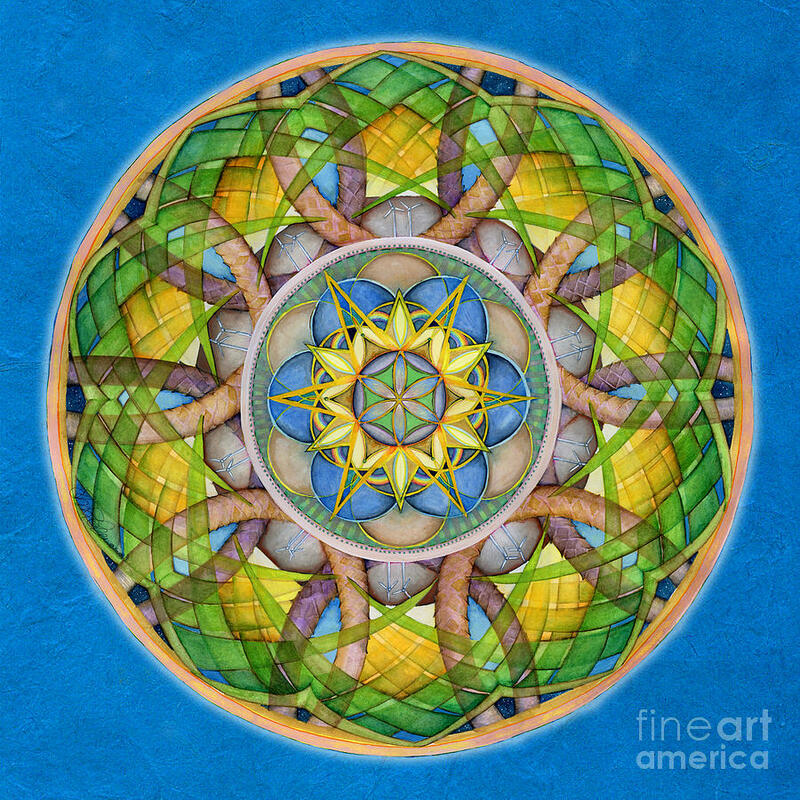 Jo's Mandalas hope to bring the inner and outer worlds together in a collapsing and expanding of patterns. 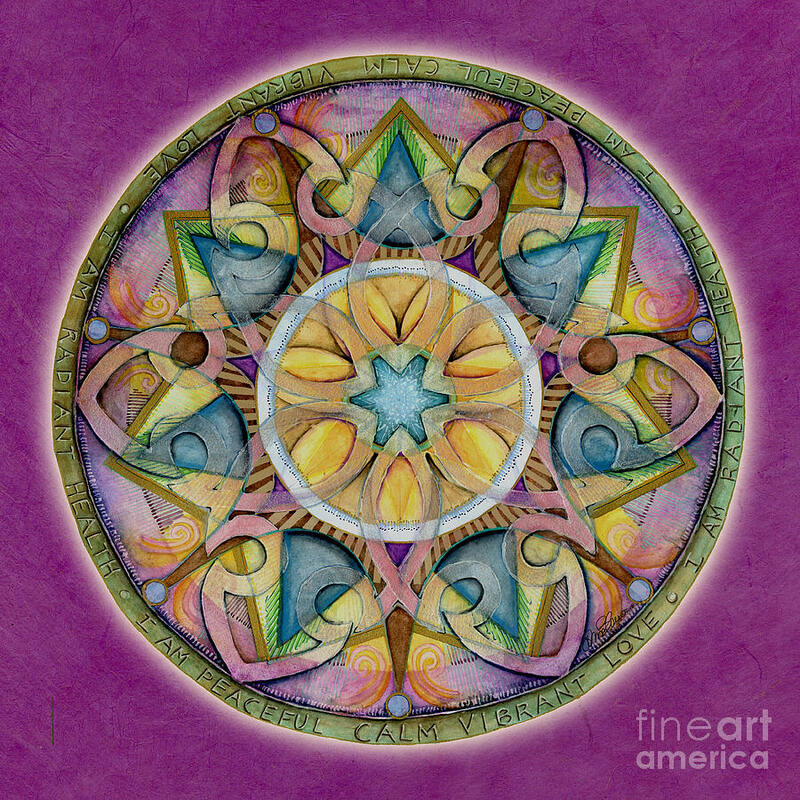 They can be a point of focus, a porthole to dreams, a prayer for healing, or simply a beautiful decoration.